Stripped of a large chunk of his authority, Turkish Prime Minister Ahmet Davutoglu on May 5 announced he would step down, boosting President Recep Tayyip Erdogan’s grip on power. The shock announcement, dubbed a “palace coup” by Erdogan’s opposition, unnerved Turkey’s financial markets, with the lira losing almost four percent its value against the dollar. 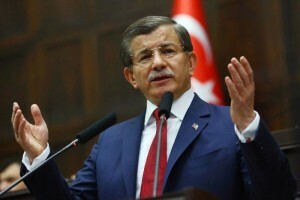 The highly-regarded Davutoglu said after a central executive committee meeting of the ruling Justice and Development Party (AKP) that the party would hold an extraordinary congress on May 22 and he would not be standing for a new mandate. The two have governed in a strained alliance since Erdogan won the presidency in 2014 and Davutoglu replaced him as prime minister. Last week, Davutoglu was stripped of his authority to appoint provincial AKP officials, a move seen as reducing Davutoglu’s hold over the party grassroots and cementing Erdogan’s influence. “What happened is a palace coup. Davutoglu should have resisted,” said Kemal Kilicdaroglu, head of the main opposition Republican People’s Party (CHP). Soner Cagaptay, director of the Turkish Research Program at the Washington Institute, said the move was the next stage in a “hollowing out” of Turkish institutions by Erdogan. “It shows how much power has been massed in one person’s hands,” he told AFP, adding that Erdogan was now exercising more control than anyone in Turkey’s modern democratic history. Critics pointed to the irony of the last statement given that insulting the president is a crime in Turkey, and one which the government has acted on thousands of times by fining or jailing those who say something unfavorable of Erdogan.